Facility executives can improve the fire safety of buildings by understanding both how and why individual systems work, and how and why systems work together. Of course, facility executives should make sure that the systems are working properly in the first place. Individual schedules and checklists for maintaining and servicing these critical systems for each building should be developed and implemented. Make sure you keep your fire protection well maintained in your area by getting scheduled maintenance inspections. There are many ways in which they could go wrong and so keeping up with a scheduled maintenance plan could greatly improve your system’s durability and longevity. For more information on the importance of maintaining a fire suppression system, call CJ Suppression in Corona, CA at 888-821-2334 or visit www.cjsuppression.com. A fire broke out at a Holiday Inn Express in Lebec, CA. When firefighters arrived smoked was seen in the first floor windows and called for additional fire crews. The hotel was evacuated. The fire was started in the hotel laundry room and was determined to be a dryer fire. Thanks to the fire sprinklers in the hotel the fire was contained to only the laundry room. The two fire sprinklers kept the fire from spreading. There were no reports of injuries to either hotel guests or firefighters. The fire alarm system alerted all hotel guests of the fire allowing them to evacuate to safety. 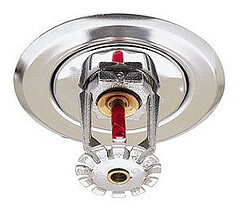 Another business was saved with the help of a proper fire sprinkler system and alarm. Call CJ Suppression in Corona, CA today 888-821-2334, for information on installing a fire sprinkler system in your business. 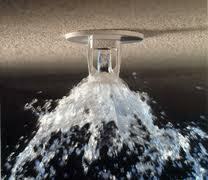 Or if you already have a fire sprinkler system, CJ Suppression can inspect your system and maintenance it. 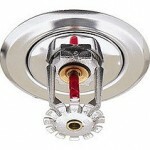 A fire sprinkler system is no good if it is not working properly. Also visit their website at www.cjsuppression.com. For a few people, when building a new home, a fire sprinkler system is not a seen as a fundamental part of the new home. However, installing a fire sprinkler system can save the life of your family as well as reduce damages and costs caused by a fire. Even if smoke detectors are installed, they can take up to 2 minutes to activate. During this time, the fire can grow blocking off exit routes and smoke can enter your system, making it difficult to properly escape the affected area. Deputy Fire Marshal Jonathan Leonard states that a family should evacuate a fire in about four minutes and concludes that the window people have to escape a fire has reduced from twenty minutes in the past twenty years since today we have less solid wood furniture and more plastic and foam materials that burn faster. At a child safety conference, a fire sprinkler exhibit was displayed to showcase the importance of installing a sprinkler system. The experiment consisted of a room with a sprinkler system installed and a room without a sprinkler system. Both were then set on fire to demonstrate which room sustained less damage. The room with no sprinkler system installed quickly reduced to ash and smoke, while the room with a sprinkler system installed remained practically undamaged. 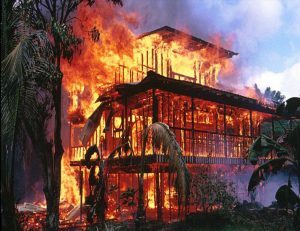 Having a sprinkler system installed in your home or business should not be a luxury; it should be a necessity since it can potentially save lives.